Enhance the efficiency of your water drainage system with a gutter filter from Waddle Exteriors. We are proud to offer our customers in Cedar Rapids, Dubuque, and other nearby locations in Iowa the No. 1 consumer-rated gutter guard on the market, Gutter Topper. Featuring a rounded-nose design, Gutter Topper ensures that water is directed into your gutters while potentially obstructive debris gets rejected. In other words, a gutter guard from Waddle Exteriors will reduce the amount of time you’ll need to spend up on your roof cleaning your gutters, as well as protect your home from the water damage that can be caused by gutter blockages and overflows. 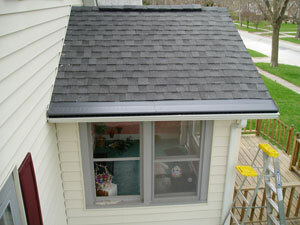 Waddle Exteriors is also your trusted source for professional Gutter Topper installations. Our employees are both factory and manufacturer trained to ensure that your gutter filter is set up perfectly and performs flawlessly. We’re so confident in the abilities of our installers that their labor is backed by our 100 percent satisfaction guarantee. If you’re interested in having a gutter filter installed on your home in Cedar Rapids, Dubuque, or a surrounding area in IA, contact Waddle Exteriors today. Don’t forget to ask about our free consultations.